Beige (Tan) coloured mens cotton lined hard sole slippers: Size 8. These slippers are hand crafted in the West Country by skilled craftspeople with over 35 years experience of delivery quality and excellence. The West Country is the home of sheepskin products. 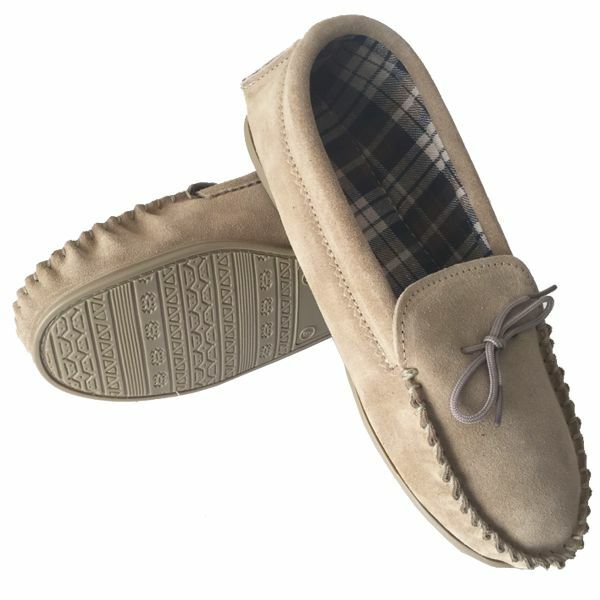 The slippers are a genuine suede upper with a cotton fabric lining providing warmth in the winter and cool feet in the summer. 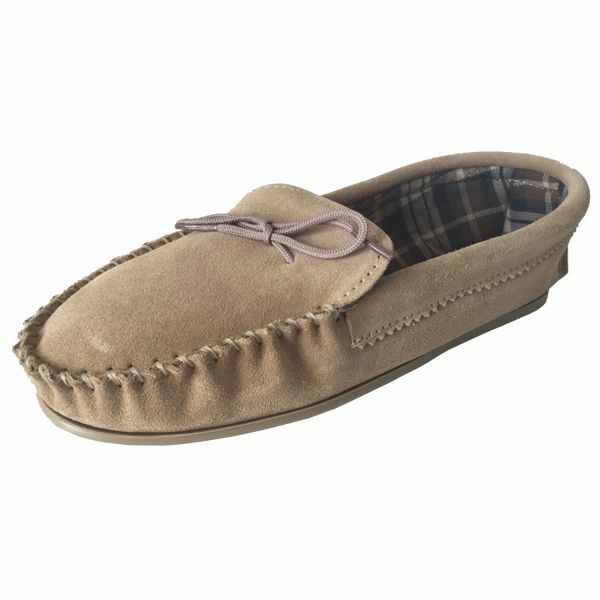 The slippers have an outdoor non rigid PVC sole which makes trips to the garden safe as they provide grip where traditional moccasin slippers may not. Come neatly presented in a polybag making them ideal for a gift.